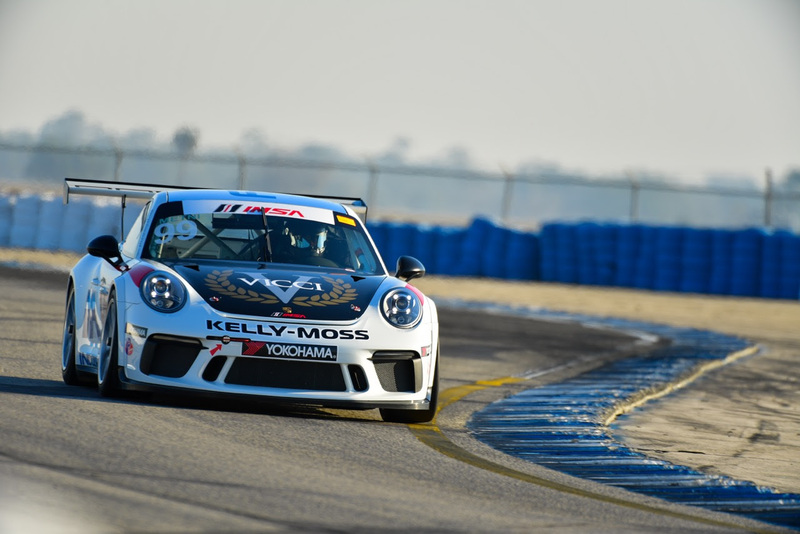 Kelly-Moss Road and Race experienced the roller coaster ride that is motorsports in this weekend’s IMSA Porsche GT3 Cup Challenge by Yokohama season opener at Sebring International Raceway. 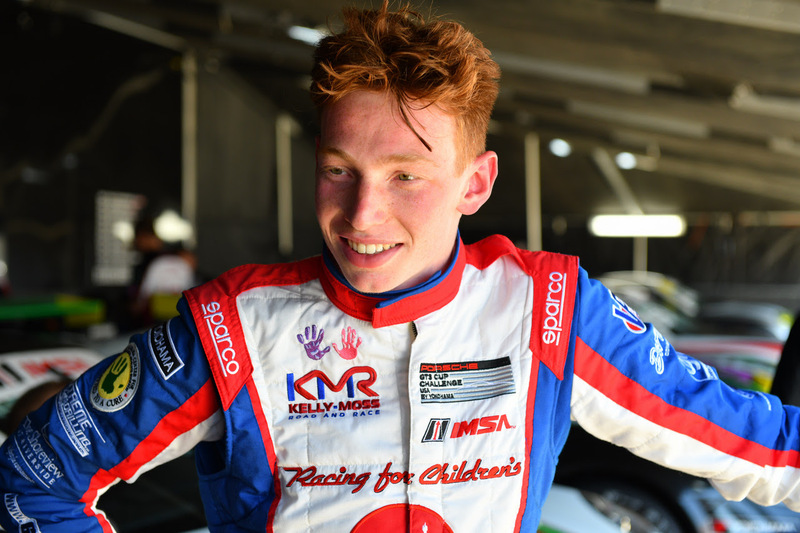 Sebring, Fla. (16 March 2018) – Kelly-Moss Road and Race experienced the roller coaster ride that is motorsports in this weekend’s IMSA Porsche GT3 Cup Challenge by Yokohama season opener at Sebring International Raceway, earning podiums in race one but seeing victory in race two snatched away within site of the checkered flag. 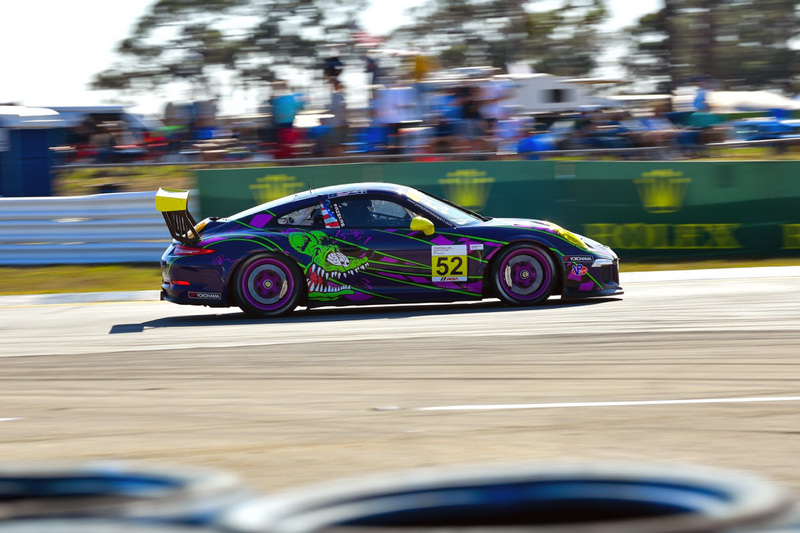 Celebrating their 30th anniversary in professional motorsports, KMR arrived at Sebring with an impressive stable of seven cars: three cars in the Platinum Cup class (featuring the latest generation 2017 and 2018 Porsche 911 GT3 Cup car), including the No. 1 Racing for Children’s/MTP/Fortis Porsche of Roman de Angelis, Alan Metni in the No. 99 VICCI Car Auctions AM Motorsports/Kelly-Moss Porsche, and the No. 61 of Scott Welham, who is also classified in the Masters category, and four Porsches in the Gold Cup class for cars from model years 2014-16: Greg Palmer in the No. 44; Kurt Fazekas in the No. 52; Wayne Ducote in the No. 73 and the No. 85 entry of Brent Asplundh. De Angelis had the unique distinction of competing in two separate series this weekend, in (technically) two separate cars, as the season opener hosted a dual-event for the IMSA Porsche GT3 Cup Challenge by Yokohama and their Canadian counterparts, the Ultra 94 Porsche GT3 Cup Challenge Canada by Yokohama. The 17-year-old Canadian set a quick lap early and qualified on pole for Race 1. The race quickly turned into a “young guns” battle for the lead, as 18-year-old Trenton Estep came from the sixth position to battle De Angelis through the early going. The pair went side by side through three corners until De Angelis relented the US series lead in Turn 13, while maintaining the top spot in the Canadian series. A full course caution on lap 10 slowed the field and allowed De Angelis to catch up to the leader, but also allowed Zacharie Robichon to catch De Angelis on the final of 20 laps for the Canadian series victory. 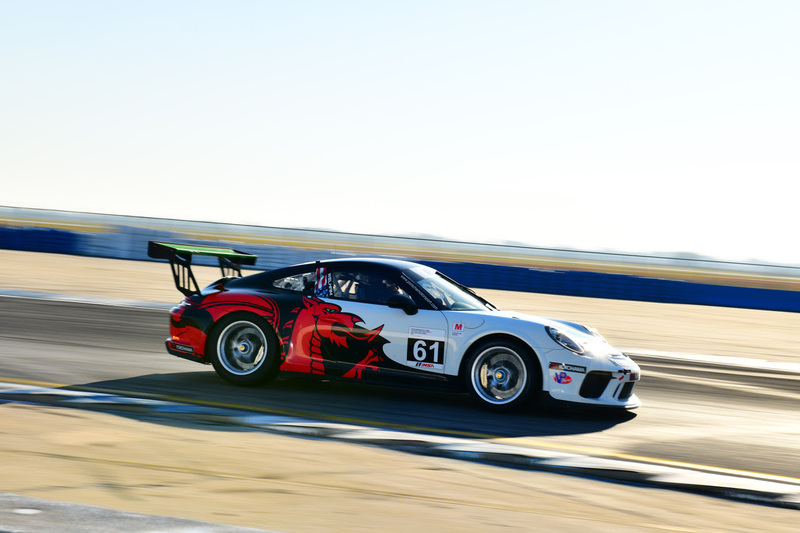 In the Gold Cup class, Fazekas started seventh and battled hard through the race to bring his Porsche GT3 Cup Car home in second position. In Race 2, De Angelis again started on pole and once again roared into the early lead, pulling away from his competitors by a full second by lap 2. 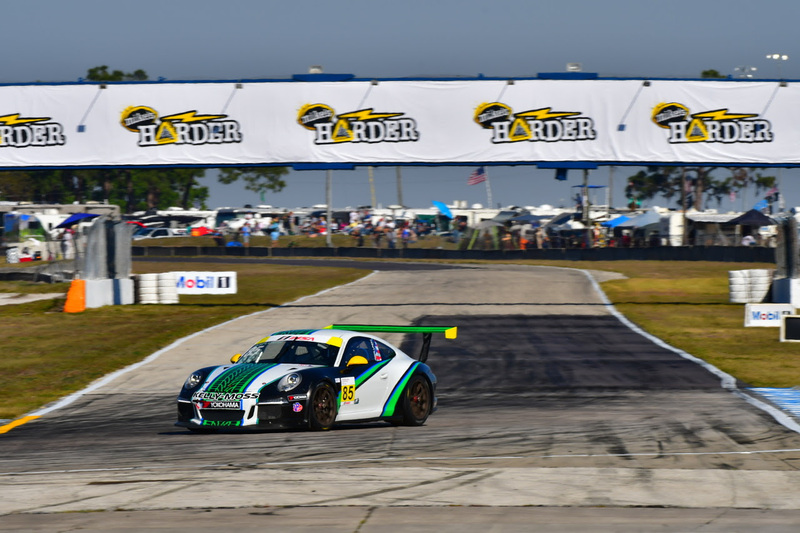 Meanwhile, Fazekas, Ducote and Palmer enjoyed spirited clashes for Gold Cup class podium positions. 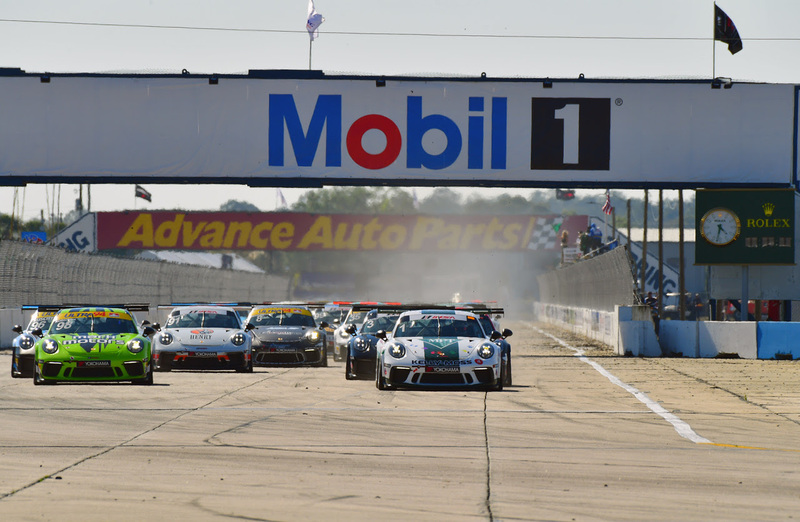 However, two full course cautions late in the race opened the door for what would be a chaotic finish for several KMR Porsches. After the first restart, De Angelis held the line but Estep stuck a nose inside, and the pair fought side-by-side through three corners before Estep gained the advantage. Side by side again on the second restart, the pair fought through not one, but two white flags (after a timing error caused the white flag to be shown one lap too early). De Angelis got a run on Estep coming down the Ullman Straight on the final lap, but the pair tangled in the infamous Turn 17, which saw De Angelis into the wall and a 21st place finish. Understandably, De Angelis was gutted at the result that affected not only his US title bid, but his Canadian championship as well. Palmer, Ducote, Asplundh, and Fazekas each experienced their share of ups and downs, as Palmer and Ducote finished 4th and 5th respectively, while Fazekas saw a second straight podium possibility end when he was hit by another car. After 30 years of pro racing, team owner Jeff Stone knows better than most how easy it is to be up one day and down the next. But he also knows that the KMR team will bounce back better than ever at the next event. 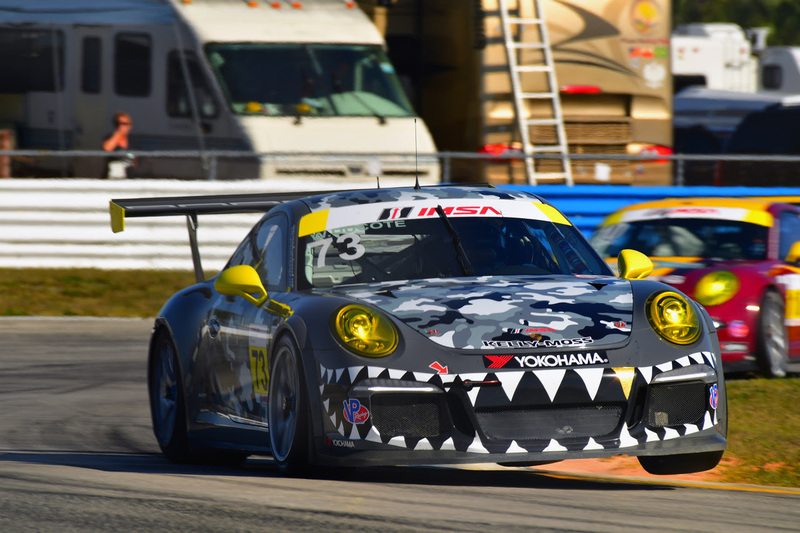 Next up for KMR will be the IMSA Porsche GT3 Cup Challenge by Yokohama event at Barber Motorsports Park April 19 – 22 as part of the Verizon IndyCar Series weekend.